I have to admit I have fallen in love with Patons Divine. 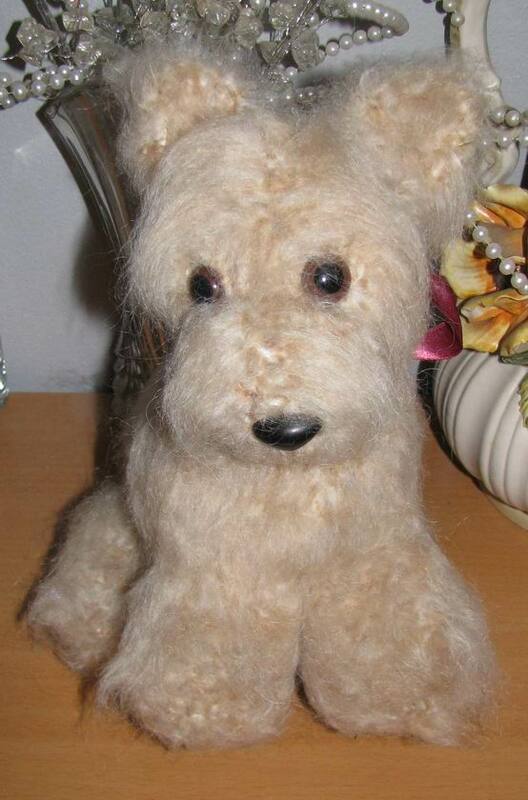 I crocheted this dog with Patons Divine and after brushing, he came out soft, fuzzy and cuddly, all the things you could possibly ask for in a stuffed toy. Terrence is 10 inches long and 11 inches tall. He is absolutely adorable!! Excellent job. Me too! I just found some in ‘souffle’ (pale yellow) to add to my collection, and it’s gorgeous! I will have to look for that color. I may have to buy online, the store(s) I buy from is very limited on color choices. I love your work! I love Baby lulu, do you sell the pattern so I can make one? Thanks….. Thank you – Some of my patterns are available at http://apdesigns.etsy.com – I have not completed Baby Lulu yet. I should have that one done in about a week.